The diets which cause you to lose weight quickly are usually low carb, high protein diets - but warning - they aren't good for breastfeeding! 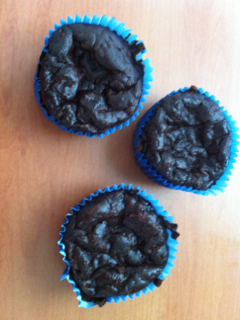 Here are 3 great reasons not to follow a low carb diet while breastfeeding. If Not Low Carb, Which Breastfeeding Diet Should You Follow? If you are breastfeeding you are your baby's only source of food. To grow as quickly as they do, babies are making a huge amount of new cells every day. To do this they need vitamin C.
Low carb diets don't allow for much fruit and vegetable intake and this will really limit the amount of vitamin C you can eat. 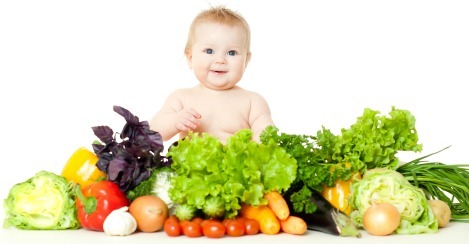 You really need to include lots of fresh fruit and vegetables to keep you and your baby healthy. Vitamin C (which is the vitamin that is found in all fruit and vegetables) helps to grow new cells. Babies are making new cells at a ridiculously fast rate, if they don't have enough vitamin C they won't be able to make good quality new cells - that makes them vulnerable to being sick the longer term. When you lose weight you are basically detoxing all your fat stores. When this happens all those toxins need to go into your blood and then get excreted through your urine or bowel motions (particularly if you lose weight really quicly). When you're breastfeeding those toxins also go out through your milk. I know you would never feed your baby toxins deliberately so why would you choose to when you breastfeed? Dieting while breastfeeding makes this quite likely to happen so avoiding quick weight loss is really important for producing good quality milk. Another little bugbear I have with common misconceptions people have about dieting is that eating fat is fattening. The media have really gone to town on getting us to do these radical fat free diets too and it's so frustrating for us health professionals trying to get people on a sustainable, balanced diet! Choose good fats of course (always the best quality you can afford, and don't go for low fat versions of things, just eat less of that product and more of some kind of fresh fruit or veggie as well), but don't exclude fat altogether! Please, please, please don't limit your food intake so much that you end up with low milk supply! Babies need a huge amount of milk every day to grow at the rate they do. By the time they are 6 months old they have often doubled their birth weight. This demands a huge amount of milk. For your baby to be as healthy as possible you need to be producing good quality milk in a large amount. Dieting while breastfeeding may limit this amount if you are not having a balanced intake of protein, carbohydrate and fat. To lose weight well you should always keep your blood sugar level anyway. Limiting your food intake too much will mean your blood sugar will crash, you will crave sugar of some sort (and then feel bad about the fact that you are craving sugar) and your hormones will make you hold onto every last bit of fat as long as possible because you seem to be starving! So How Do I Loose Weight? Given these low carb, high protein diets are so successful in creating weight loss it is not surprising mothers (and anyone else who's worried about their weight) consider them if they are dieting while breastfeeding, but if you aren't using one of these types of diets what should you do? To most effectively use protein think about it as the kindling of a fire. Carbohydrates act as a match, protein as the kindling and fat as the log. To get the best fire burning you need all three. Discover the Easiest Breastfeeding Diet Ever! Guilt free snacks that are so quick to put together - I mixed these up in just 10 minutes!